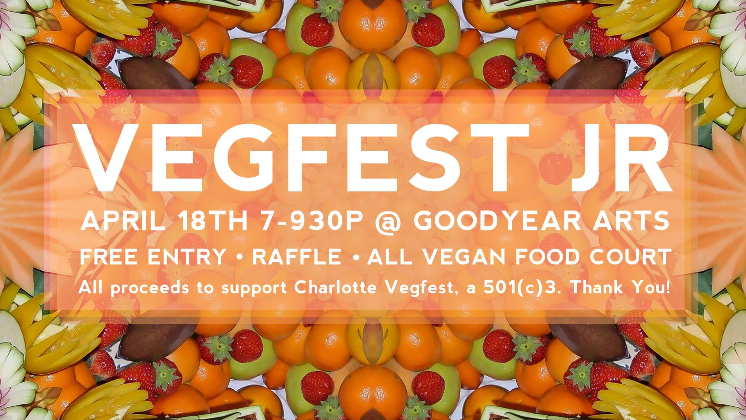 This Thursday at Goodyear Arts is Vegfest Jr so come out and enjoy a stacked lineup of delicious food and dessert vendors in one place. FOOD: Nourish, Fern, Lady Go Go’s, Cooking With Joya, Jai Food, Jyoti’s. Rumor has it, there may even be sangria available from Fern. 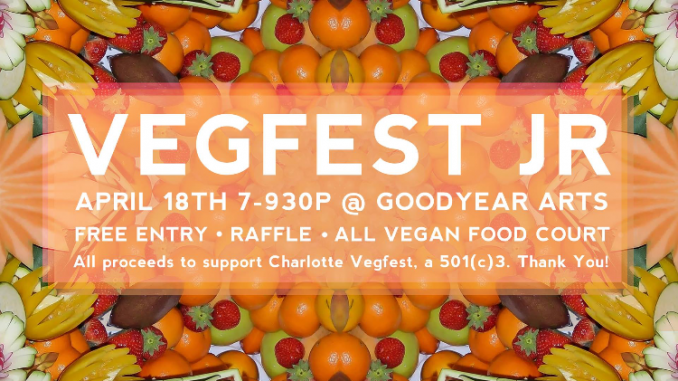 There will definitely be beer and a raffle, with all proceeds supporting Charlotte Vegfest. The Greener Apple, Punjab Spice Company, and Canine Cafe will also be there. As well as local non-profits, The Humane League, Pop Up Produce and Cotton Branch Farm Animal Sanctuary. Check out the Facebook page to RSVP and for more info.